After a year of running Pathfinder Society games almost exclusively, I needed to scratch the itch for a longer campaign with a regular group. With several regular PFS players feeling the same, I offered to run the Rise of the Runelords adventure path. Demand for the game was satisfying, but nine players is a lot for Pathfinder, which can get very fiddly in its tactical details. It’s an awful lot for Rise of the Runelords, which is designed for 4 PCs. Scheduling issues brought the final number down to 7 players, which is still a lot and requires me to find ways to beef up each combat encounter. But I was reluctant to turn away gamers who have become friends. A long-term campaign is a bonding experience. I started looking at computerised assistance. Since I already had Hero Lab (which I’ve used primarily as a character generator) and Realm Works, I decided to put them into action. It’s the first time I’ve used Hero Lab as more than a character generator, and the first time I’ve used Realm Works in a live gaming environment. Both programs are by Lone Wolf Development. Realm Works is designed so that it can call up Hero Lab when needed (though you don’t need Hero Lab to use it). I don’t think I’ve had a game go as smoothly for a long, long time. Furthermore, I ended both sessions feeling fresh; usually, running off paper notes, I often feel exhausted by the end of a session. 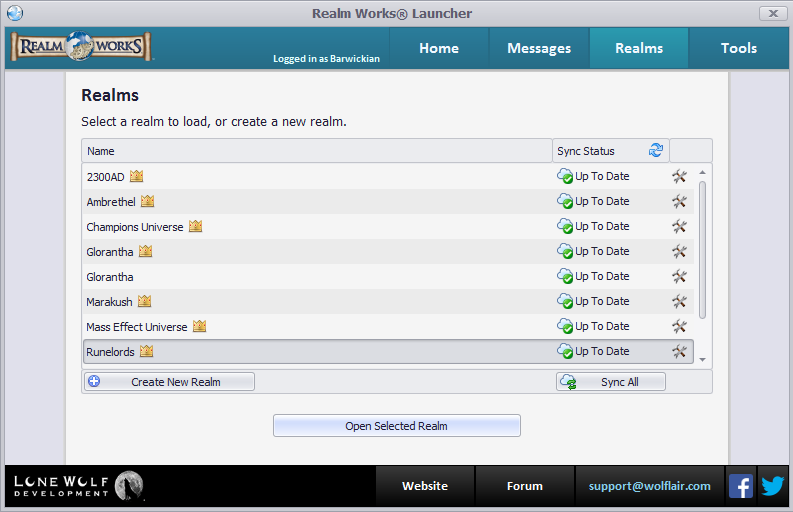 Realm Works is a cloud-based campaign manager. It differs from a campaign blog, even a dedicated one such as Obsidian Portal, by being able to track a lot of information in a variety of ways, supported by automatic hyperlinking (a great time saver). The realms list shows what realms I’ve been working on or playing in. Crowns indicate I’m the GM for that realm. The experience was extraordinary. I ran the sessions entirely on my laptop, with a set of dice beside it for rolling as needed. Even though I had a stack of rulebooks (and the adventure path) within arms reach, I hardly needed any of them. In the first session, I touched a rulebook once, to check the procedure on a combat manoeuvre. In the second session, I didn’t touch one at all. Nor did I have to spend time flipping through my own notes – they were all in Realm Works. The software automatically hyperlinks the names of any topics or articles I’ve put into it. That means if I mention, for instance, that a particular NPC is present I can quickly open up the article on that NPC in a separate tab, where I have a picture I can show to players, notes on their personality and background, and any roleplaying/acting notes I’ve made. The GM’s view of Realm Works. 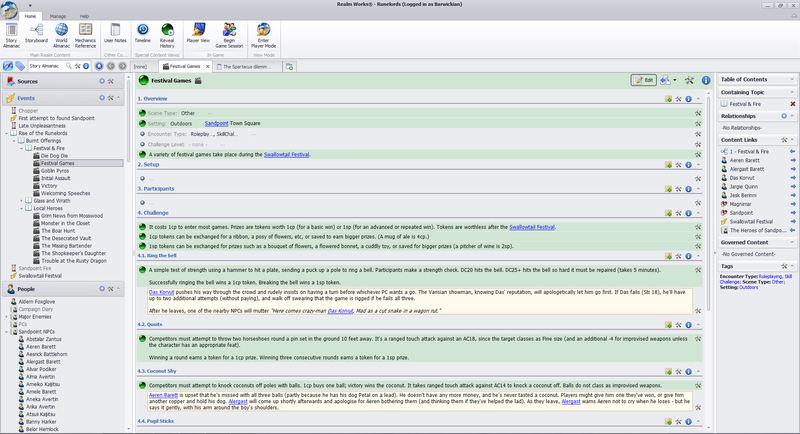 Paragraphs highlighted in green have been released to the players. Realm Works has a couple of options for keeping track of NPC stat blocks. First, you can link directly to a Hero Lab portfolio. Second, you can import a text file containing the stat block. The advantage of a Hero Lab portfolio is that with the click of a button, you can import NPC stat blocks into a portfolio already open in Hero Lab. I can keep a portfolio containing PC stats open, and import enemies from Realm Works as needed. All of this takes preparation time, of course. I’m usually a seat-of-the-pants GM, so that’s necessitated a change in style for me. I spent three weeks getting Sandpoint background and the Swallowtail scenes into Realm Works, using a mix of story and world topics, storyboard and mechanics. The cloud allowed me to input data on my desktop and run from the laptop, without faffing around creating Dropbox folders for my notes. As an added bonus, inputting all the information about Sandpoint NPCs really made me think about how to put their stories on the table. Realm Works has the facility to release information to players on a paragraph by paragraph basis. This requires players to have their own version of Realm Works, which will set them back up to $10. That’s the price of a couple of large coffees at the coffee shop where we usually play Pathfinder Society – not too onerous. We agreed before starting the campaign that players would invest in their own copy of the software, so several clubbed together to get a pack of licences, which brings the price down to as little as $6 each. What having the player edition means is that when I release paragraphs of information, players can read it at home. I wrote some speeches for the opening of the Swallowtail Festival that contain a fair bit of background information on Sandpoint. Players didn’t need to worry about writing them down or trying to remember details from week to week – I click a button, and they have access to it. What the players see: these are the locations in Sandpoint they’ve visited or heard about. Clicking a pin will take them to whatever information they’ve found out about the location. The GM’s view has considerably more information. Green dots in the pins show locations the players can see. It also helps me write a synopsis of each session since the software records the time I release each paragraph. The synopsis is the minimum information I think the players need to remember between sessions – with the automated hyperlinking, anything I write leads them to more information if they want it. For the GM, Realm Works is a little pricier – $50 for the software and 6 months of cloud storage, with a recurring fee for continued cloud storage ($40 a year). Hero Lab is a character manager, with a tactical console that allows you to run combats. I thought at first I would use it merely to roll initiatives (even with my magnetic combat pad, rolling and organising initiative order for up to 20 combatants would be tough). I ended up using it to run combats entirely. Not all my players have Hero Lab, but several do. Those with it emailed me their character portfolios. Those without emailed me their character sheet, allowing me to input their character in Hero Lab. I’ve used Hero Lab for more than a year as nothing but a character creator. I wasn’t familiar with the capabilities of its tactical console, but I have been amazed at how effectively it works. Rolling initiative for all combatants and organising them in initiative order with one click is a major time saver with a large combat. I can also input damage taken (or healed), and select a number of conditions (mounted, prone, blinded – the full gamut of Pathfinder conditions). The console automatically adjusts stats to account for conditions. This doesn’t always substitute for knowing the rules. For example, a prone character will have their AC reduced by 4, which is fine for melee combat, but it takes the GM to know that Prone condition actually increases AC by 4 against ranged attacks. This information is contained in Hero Lab’s description of the Prone status but isn’t automatically applied in the software. A number of conditions are applied automatically – before a character has moved in combat, they will automatically have the Flat-footed condition. A character reduced to 0 HP or lower will automatically gain the Dead/Dying condition. Their turn will still come up in combat, which reminds me to make stabilization rolls for downed enemies (and, yes, once a character is stable, Hero Lab records that condition as well). The tactical console in combat, with damage and conditions applied. 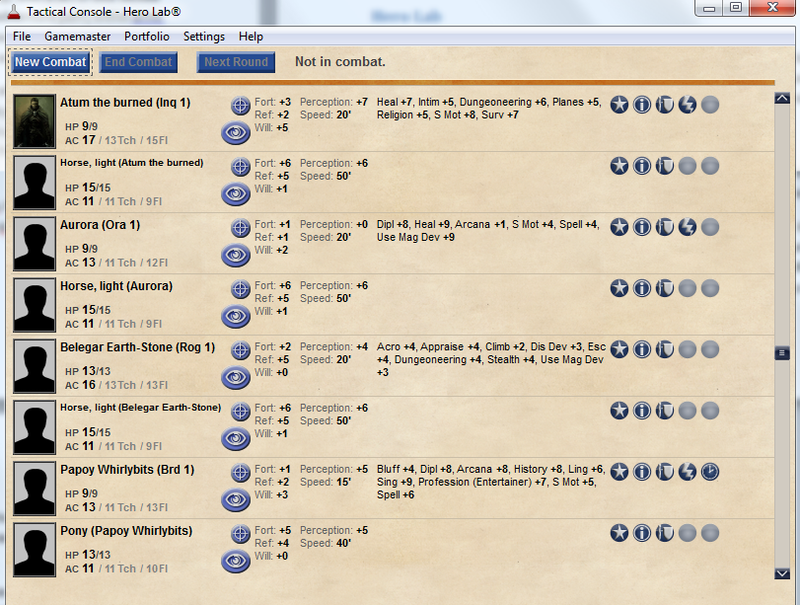 The software even keeps track of spell use and consumables. If someone’s loosed one of their 20 arrows, I knock one off and they now only have 19 available. If someone casts a spell, I mark it used. There’s even a ‘night’s rest’ button which resets all daily abilities back to full. This has to be clicked for each character individually. Batch damage, healing or conditions from an area effect isn’t handled at all. It must be applied to each combatant individually. It would be nice to have a ‘multiple select’ button which allows the GM to put conditions or damage (or a night’s rest) on several characters at the same time. Outside combat, the tactical console gives a brief summary of characters’ important stats – their Perception score, Sense Motive and other skills I may need to know without asking players. 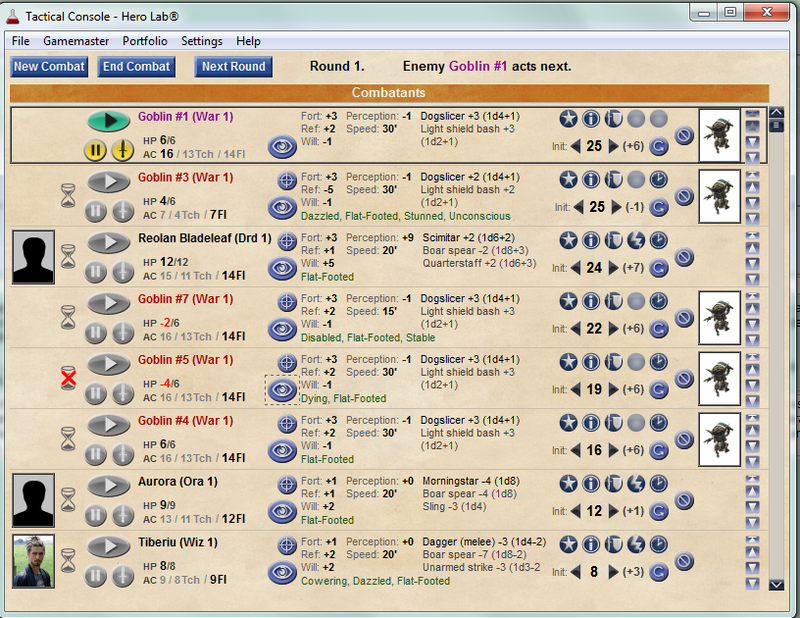 I can click a character to bring up its full portfolio, which gives me the full rules on their spells, for instance. No more hunting up the details of a spell or condition in the rulebook. The tactical console’s non-combat view lists useful skills and abilities. Hero Lab can be an expensive proposition if you want to go beyond the core rules. The main software (with the core rulebook data) costs $30. Each supplement must be bought separately at prices ranging from $10 for one of the Ultimate books or a bestiary, to $5 for several of the Player Companion or Campaign Setting volumes. It’s unlikely you’ll want to buy everything at once, and spread out over a number of months the cost it isn’t so bad. 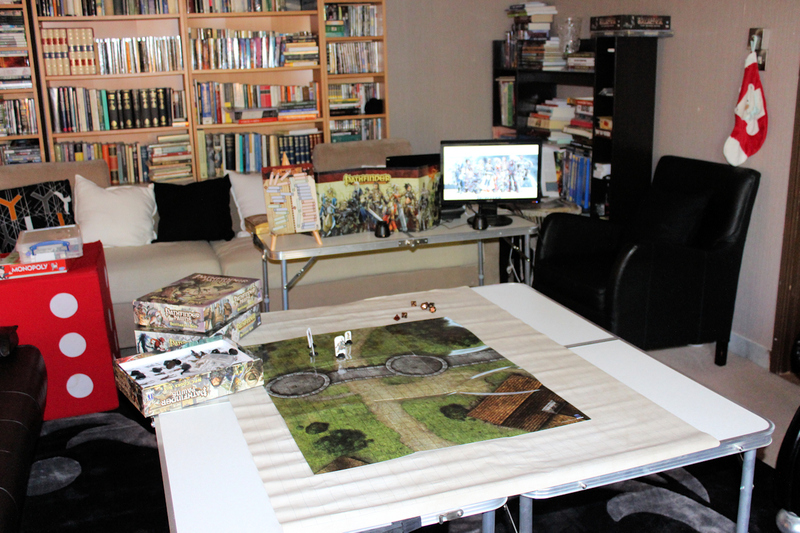 We still use battle maps and markers (miniatures, pawns, paper minis, etc.) for combat. My biggest issue with this is not a failure of the software: it’s remembering which mini is Goblin #7. That would be an issue whether using software or dead trees to run the game. I need to get some little stickers to number the minis or pawns. Players bring their printed (or electronic) character sheets with them for reference in the game, but we agreed the copy in my portfolio is the ‘master copy’. Even with the electronic aids, we’ve agreed on a number of steps to help us cope with the large number of players. First is that I don’t award XP. Characters will level up when the story demands. That cuts down the record keeping. We’ve agreed to keep the number of PC pets down to a minimum. Familiars are allowed, but generally used for their non-combat benefits. When it’s a key class feature (such as the druid’s animal companion), it will be allowed in combat. At the moment, mounts are used as transport, not in combat. I use real physical dice, rather than Hero Lab’s built in dice roller. It isn’t just personal preference; it’s quicker to grab a d20 and roll it than to use the built-in dice roller. I don’t feel secure enough with the software to run without my printed rules and adventure path to hand. I haven’t used them, really, but they’re a backup in case the tech fails us. Although we’re using Realm Works as a between-game reference for players, it does have the ability to display items in-game as well. Players are already offering to loan me portable projectors to use this functionality; I want to get a little more familiar with the software before I take this step. Letting the software carry the burden of reference and tracking allows me to concentrate on presentation and interaction with the players. Even if I need to figure out how to do something technical with the software, there’s a net gain in interaction time because I’m not hunting for notes. The amount of advance prep leaves me much more familiar with the material. The cloud allows me to prep whenever I have a network connection. Realm Works won’t run on my smartphone, but I keep the rulebooks and adventure path PDFs on my phone so I can read them when out and about. If necessary I can make notes and memos on Evernote, which syncs to my desktop and laptop. We’re reliant on all the technical aspects working smoothly. Before our second session, a mandatory Realm Works update took time to download and install; there was a Hero Lab update at the same time. Those, combined with a bandwidth issue (either on my wireless network, my ISP or on Lone Wolf’s servers), delayed the start of our game by 90 minutes. Since we’re all friends, we got our socialising done, but it was a longer delay than I wanted. Sessions last longer than my laptop battery, which means I need to be close to a power outlet. There is a short learning curve with both Realm Works and Hero Lab. It’s not major, but it’s there. As I become more familiar with them, I expect things to go more smoothly. I’m impressed with the set-up. Extremely impressed. It’s had a significant and very positive impact on my game. It’s an extra cash investment, of course, but it’s not ridiculous unless you’re on a tight budget. This entry was posted in Gaming and tagged game aids, Pathfinder, tabletop. Bookmark the permalink. I really enjoyed your article. I have both realm works and Hero Labs and am thinking of running Rise of the Runelords sometime in the future. Did you create all the realm works files from scratch or were you able to find an already made world file? Also, did you use the Hero Lab file that was made for Rise of the Runelords? Thanks again. I created them all from scratch – to an extent. I have the RotRL PDF as well as the hardcopy, so I\’ve done a lot of copy-pasting. I\’m aware Lone Wolf have created a Runelords file of their own, but it is not currently available to the public. I started creating the files before the Rise of the Runelord Hero Lab files became available, but bought that and began using it when it did become available. I customise it to suit my party (Runelords is designed for 4 PCs; I have 7, so I increase the Challenge Rating of each encounter using a combination of increasing numbers and adding templates or extra levels). Hi. I am new to RW, HL (Fairly comfortable) and DM’ing in general. I purchased RotRL and the HL builder pack for it and want to now input it into RW. I just have no idea where to start for the inputting. Would you mind giving me a quick list of things to do first? I’m not sure there’s a tried and true way of doing it – to some extent, I learnt as I went along. There’s normally several ways of doing things in Realm Works. 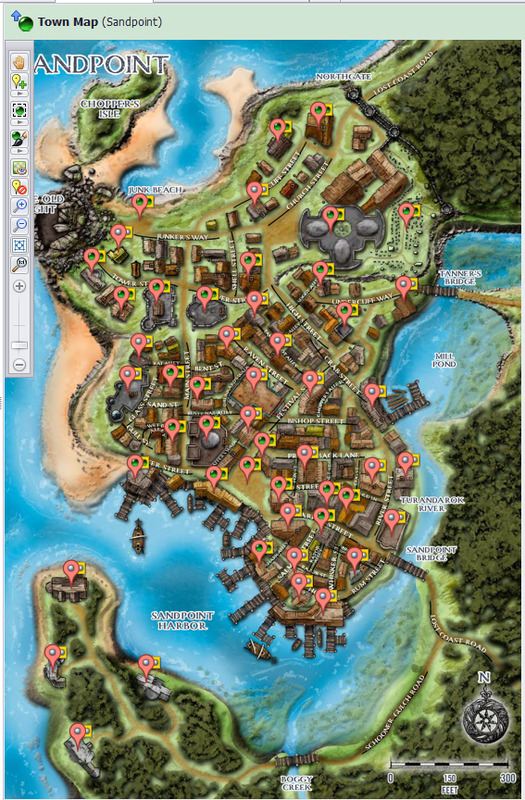 I started by inputting Sandpoint businesses and NPCs, since I knew the players would be spending a lot of time there. This was a long task. 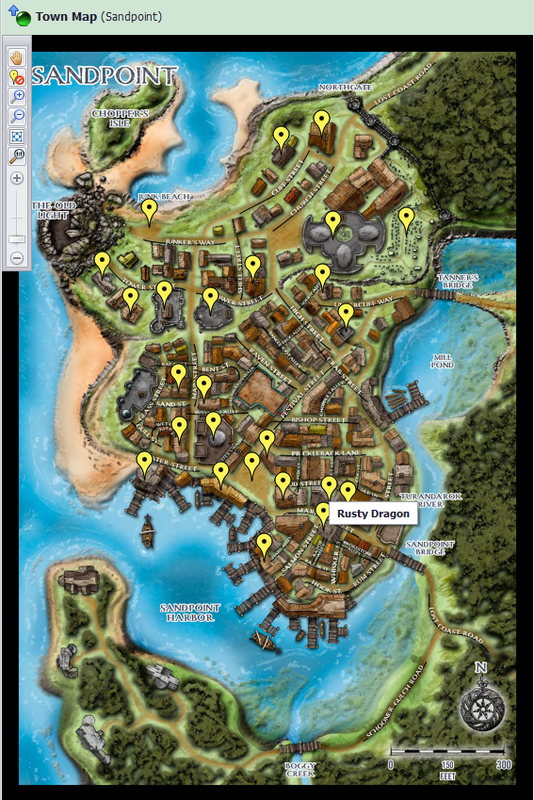 I grouped the NPCs under “Sandpoint NPCs” and the businesses under a general topic for Sandpoint that included some illustrations of the place (and the map). I then broadened out and covered locations in Varisia. I used the quick-create function (Crtl+Q) to create topic articles for things I knew I’d eventually include, even if I wasn’t going to write about them just then. RotRL has a numb er of story-based adventures, and a number of location-based adventures. I input the stories in the plot format, and created a topic for each room in an adventure area, grouped under that area. There’s a function whereby you can add a room number as a prefix to a topic name, and sort by that, which proves handy. Most NPCs I didn’t bother with stats for – only the ones likely to be in combat. I initially saved enemy NPCs in the location players are likely to meet them, but stopped doing that as the players let several of them get away. Now I save them (plus an illustration and the Hero Lab stats) in their own topic, and create a relationship to the area where they’re first encountered. That way I can create links to where they might be found again. I write a precis of each adventure session during or soon after each adventure. This ongoing campaign diary automatically hyperlinks to people or places the players have met or visited, allowing them to keep track. If you need more advice than that, I suggest visiting the Realm Works forums or checking out the tutorial videos on YouTube. Good luck with setting it up!